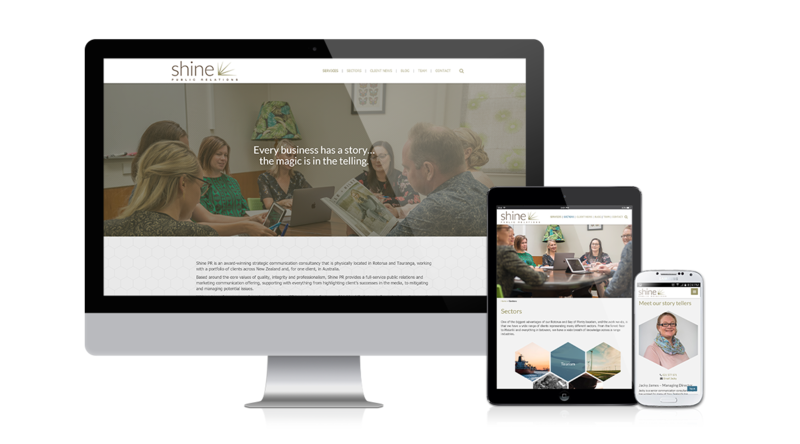 Shine PR is an award-winning strategic communication consultancy that is physically located in Rotorua and Tauranga, working with a portfolio of clients across New Zealand and, for one client, in Australia. 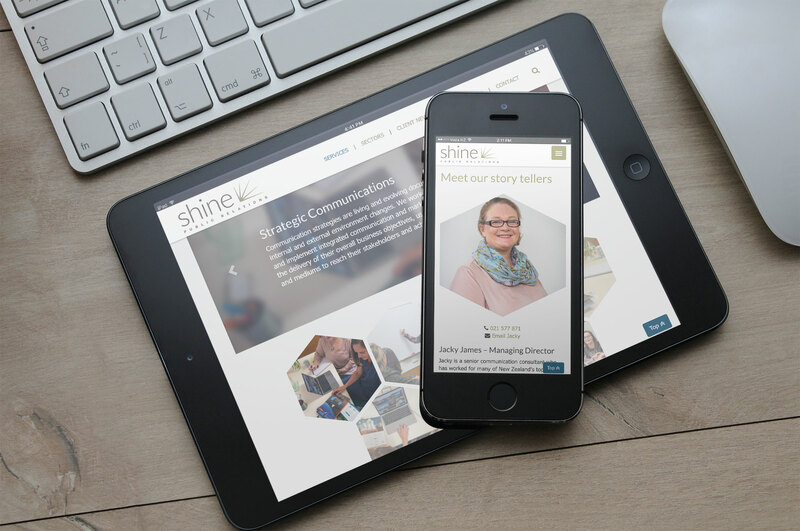 Having worked with ShinePR for many years both assisting with web design and as a freelance photographer, when they approached us to revamp their website, we were pleased to be involved. We created a bespoke responsive theme for WordPress which encompassed their brand values, and utilising hexagons for thumbnails across the site to tie into their brand guidelines.